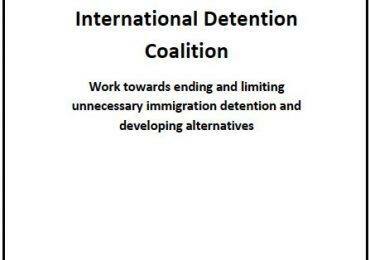 Rather than investing in harmful, expensive immigration detention, the Government of Uganda have an alternative to detention in place for people seeking asylum. They provide people with the right to work, freedom of movement, access to health and education services and the right to live in settlement zones, where they are allocated plots of land and given materials to build a home. However the Government of Uganda and UNHCR, who facilitate the program, have recently called for urgent financial support as large numbers of people from South Sudan enter the country. They currently host more than 800,000 South Sudanese refugees who have fled conflict, violence, severe drought, a lack of employment opportunities and a scarcity of resources. Apollo Kazungu, a Ugandan commissioner in charge of refugees has said “…allocating them plots (of land) may not be possible if they continue to arrive daily due to violence. We are now building dormitories for them.” Last year, the government raised only one third of the funds needed to support new refugees, limiting their capacity to provide refugees with adequate food rations, health and educational services, and sufficient clean water. Uganda is on the list of the world’s “least developed economies” compiled by the United Nations Committee for Development Policy, and has been on that list since 1971. They rely significantly on foreign aid – which is reducing worldwide. The Trump Administration has proposed $10.1b cuts to foreign aid. 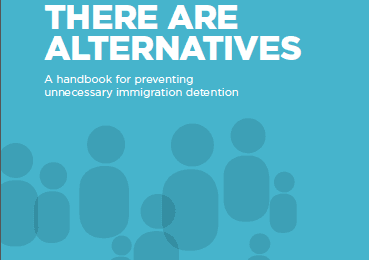 Research conducted by the IDC indicates that alternatives to detention are significantly less expensive than harsh, restrictive policies that rely on immigration detention. The Africa Regional Coordinator, Junita Calder, says that her organisation joins the call from many in the international community. “This progressive programme has so many positive impacts – it is far more cost effective than immigration detention and more sustainable than encampment. It has enormous potential even beyond the asylum seeking population to support people in need, and develop Uganda’s economy” says Ms. Calder. The IDC has highlighted Uganda’s programme for refugees as one of hundreds of examples worldwide of positive practice. The Ugandan Prime Minister, Ruhakana Rugunda, said the country will continue to welcome vulnerable refugees. However more support from the international community is urgently needed.